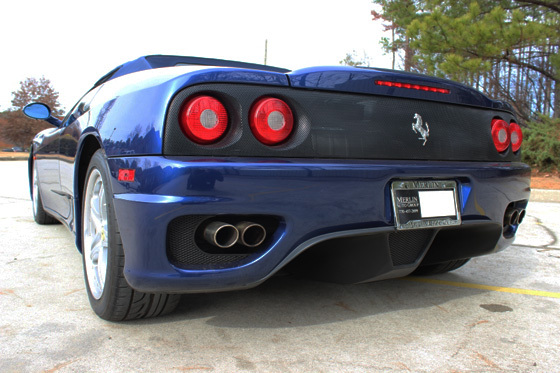 The launch of the Ferrari 360 in 1999 meant the introduction to sleeker, more subtle curve lines merged with an even faster engine, as one would only expect from Ferrari. Ferrari only made a total of roughly 16,000 of the Ferrari 360 in the Modena and Spider models for the six years they were in production until 2005. In addition, very few Ferrari 360s were produced in the exclusive model, the Challenge Stradale. Over the past few years, the number of used Ferrari 360’s that are on the market has slowly declined year over year, making the car more appealing to enter the realm of luxury automobile collectability. Along with the current market position, the Modena, Spider and Challenge Stradale have all been out of production for eleven years, allowing a great valued purchase while avoiding the extreme initial depreciation hit. Although last produced in 2005, the current value of the used Ferrari 360 is strong – lowering in price has not just stopped, but there has been a slight increase for many of these vehicles on the market. The timing for purchase on these used Ferraris is now, especially as the additonal cost of ownership will start to rise as these models become more rare. A few years ago, in 2013 or 2014 you would have been able to find a nice, automatic 360 Modena in good condition for $60,000. Now, however, you can expect to pay at least $80,000 for the same vehicle. And, if you are going to be in the market for a manual, you can expect to pay much more than $80,000 as there are fewer available and they are highly sought after. It is also important to note that if you watch the market on these Ferraris, you must be sure to observe the supply and demand over time because there will be times when the market will be soft for a quarter or two. However, the financials on the 360 year over year show a steady positive trend. As of January 2017 our dealership has an automatic 2001 Ferrari 360 Spider listed for $85,000 and a manual 2000 Ferrari 360 Modena with extra options listed at $115,000. See our other used Ferrari models available to be shipped worldwide.